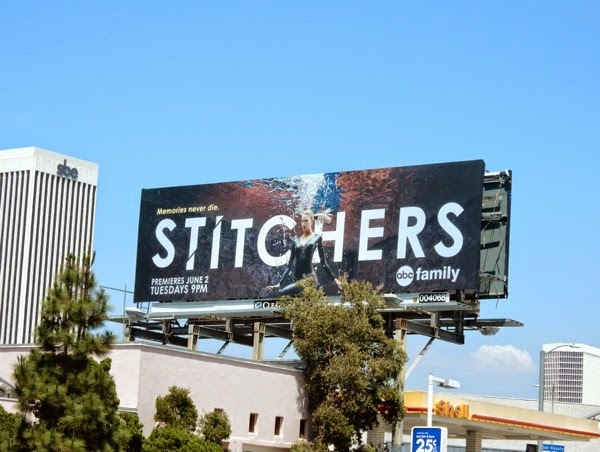 This Summer are you ready to dive into a new procedural drama with a twist of sci-fi from ABC Family? 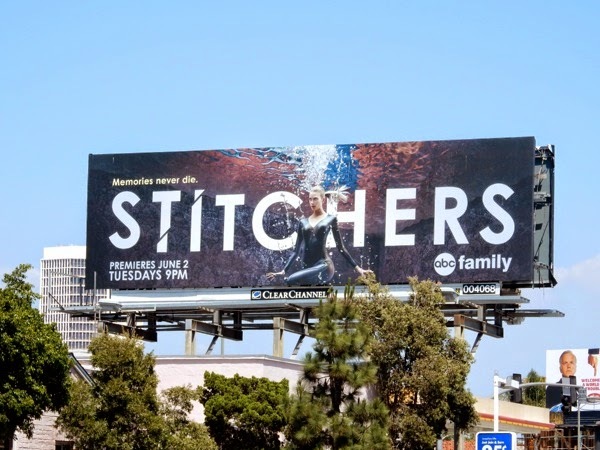 If so then Stitchers is the new series for you. 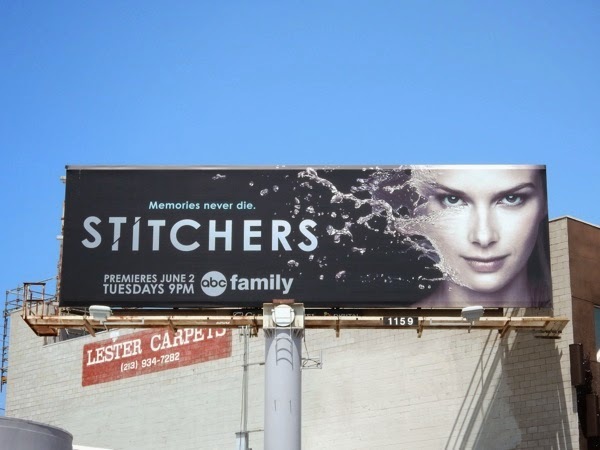 Emma Ishta stars as 'Kirsten', a new recruit in a top secret government agency tasked with being 'stitched' into the minds of recent murder victims to use their memories to uncover what happened to them. Because unlike the deceased, memories never die. 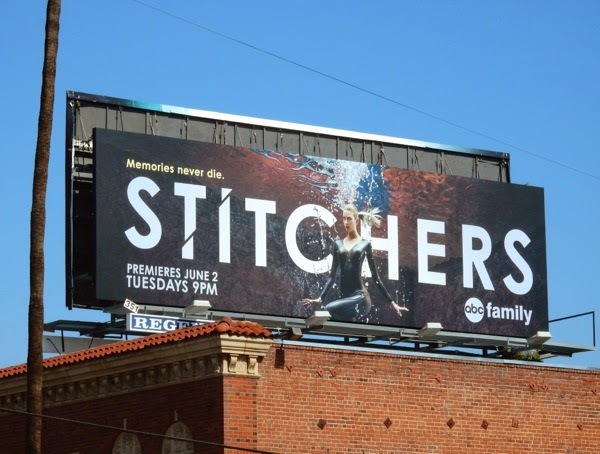 These watery series premiere billboards for Stitchers (who sound a bit like a group of needlework enthusiasts) were snapped from May 18 to May 20, 2015, in the skies of Olympic Boulevard, Beverly Boulevard and Sunset Boulevard. 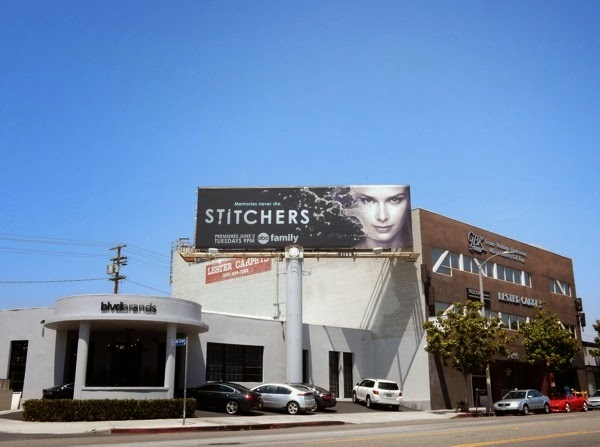 The premise of this new show sounds a bit like The CW's iZombie, without the need to eat brains to access the memories, so let's hope there's something else original here as Daily Billboard's not forgotten that retrieving the memories of the dead has been a staple of the science fiction genre for many years.